A modern home with a fresh perspective! Blue and white capture that adventurous nautical vibe. The color combination for a home makes it dwellers feel as if they're sailing the high seas without actually leaving land. After all, what's so wrong about bringing that nautical theme to your house, especially when you've got an equally breath-taking view of the horizon surrounding your property? 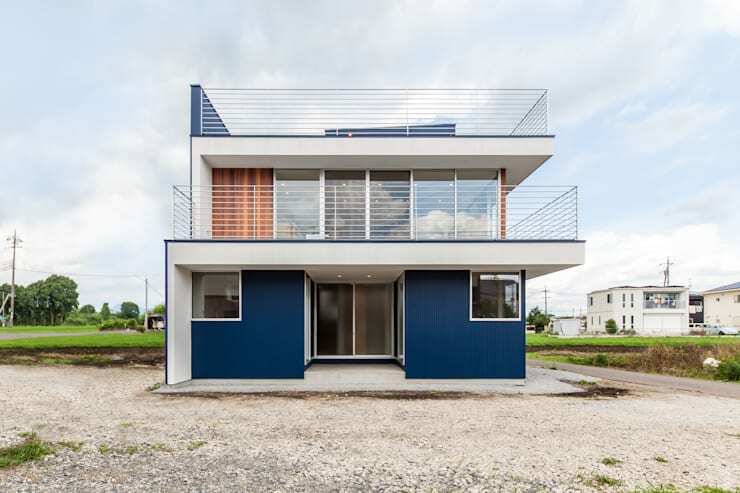 Architectural firm STaD or Suzuki Takabo Co., Ltd. in Japan paved the way for the sky to meet the sea in this contemporary blue-and-white house. Navigate around this structure by reading further. Boxy and sharp with its clean lines, this front easily complements the softer and lighter blue sky. One side here is partitioned like a firewall but nonetheless, the metal railings pique our imagination of the scenic view from those balconies. We're also loving the wooden details against the glass panels. The other side of the facade features the incorporation of modern design as seen in the white-coated lining winding around the building. It's not just that though. 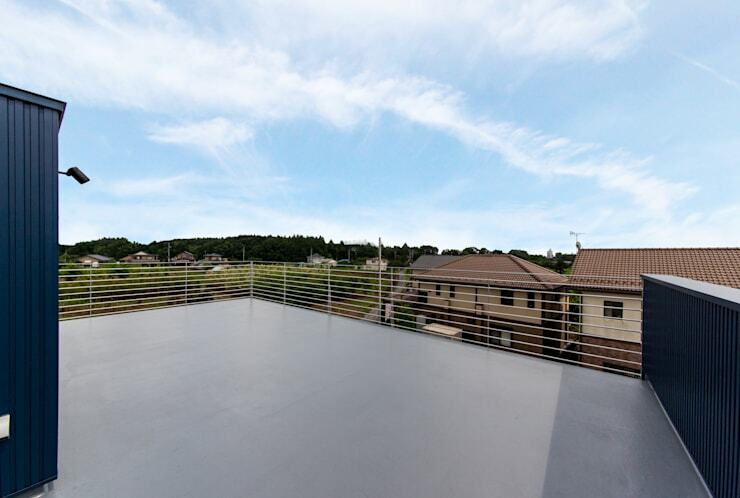 The same style is evident in the collective appearance of the roof deck down to the ground floor. In fact, this gives us the feel of a ship's deck. 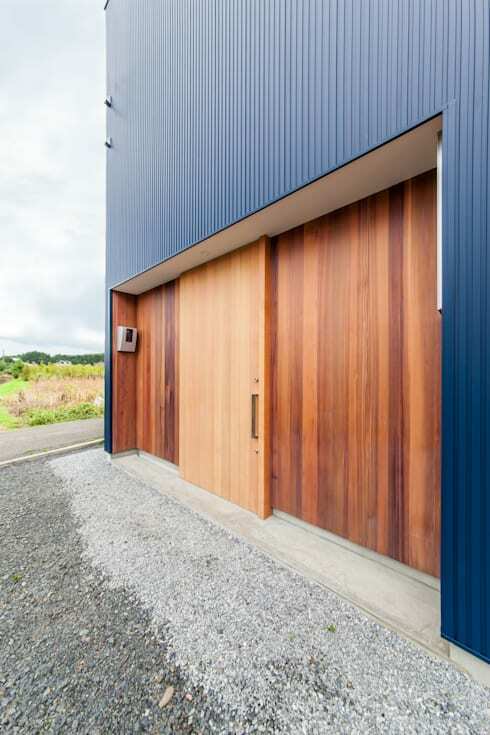 Here's a closer look at the building's surface and the smooth wooden sliding doors that greet those entering the house through the side. The living room occupies the second floor, which is blessed with an expansive view of the outdoors through the surrounding floor-to-ceiling glass windows. It's pretty minimalist here in terms of furnishings, but their color and wooden textures go well with the entire theme. Besides, what else can compete against this wonderful vista? 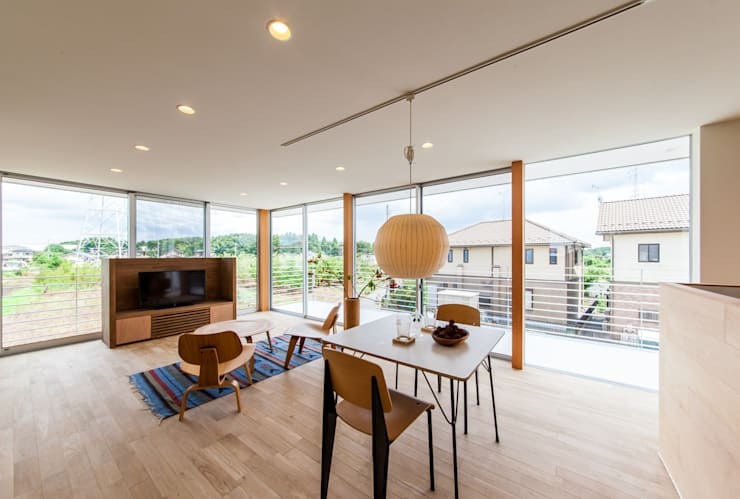 The natural lines from the wooden floor help elongate this already spacious dining and kitchen area. In spite of this space, adding an indoor plant with this matching pot helps keep the interior look interesting. 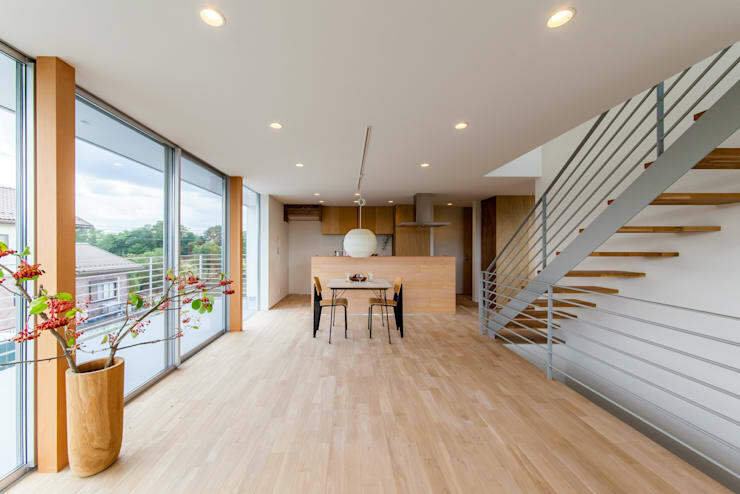 Meanwhile, the gray of the staircase railing subtly maintains the clean interior design just like its neat wooden steps. 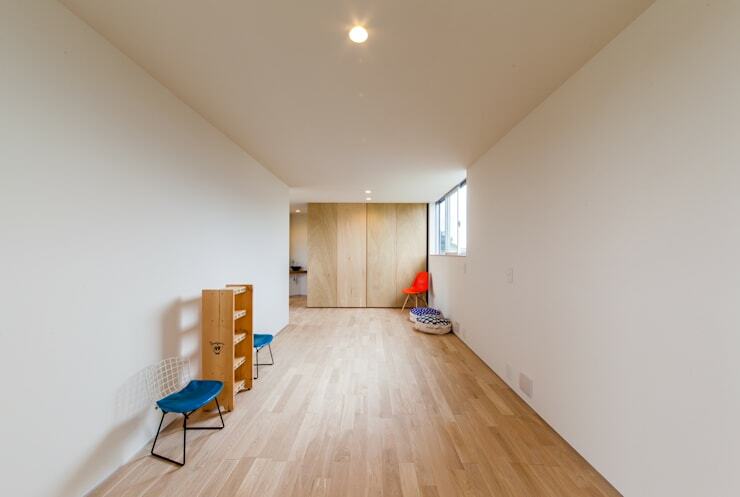 Japanese architecture since time immemorial probably has the most versatile rooms. This one can be used for multiple purposes; be it a bedroom, entertainment room, or an extended living room! Its spare yet interesting elements provide the many possibilities. Notice that the tall closet somehow blends with the floor and how the window beside it is conveniently positioned to assist those aiming to rummage through the closet. The last stop is at the roof deck where the barriers provide the right level of support for those looking to touch the fleecy sky, portray the iconic Titanic pose, or simply muse about life. 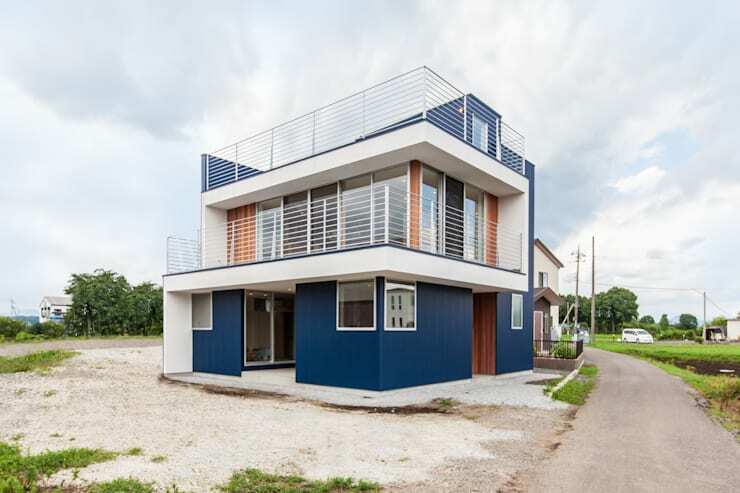 Check out this small Japanese home that is perfect for the Philippines too! Is this your dream home? Tell us below!